Centered in a thriving beach community this beautiful Mediterranean Villa in upscale Monarch Beach/Dana Point area of Southern California. You will not be disappointed in the Ocean View, luxury, style, comfort and location of this property. Walk to Salt Creek Beach without having to cross any streets. Dana Point is located on the coast midway between Los Angeles and San Diego, only 20 minutes from the Orange County/John Wayne Airport. 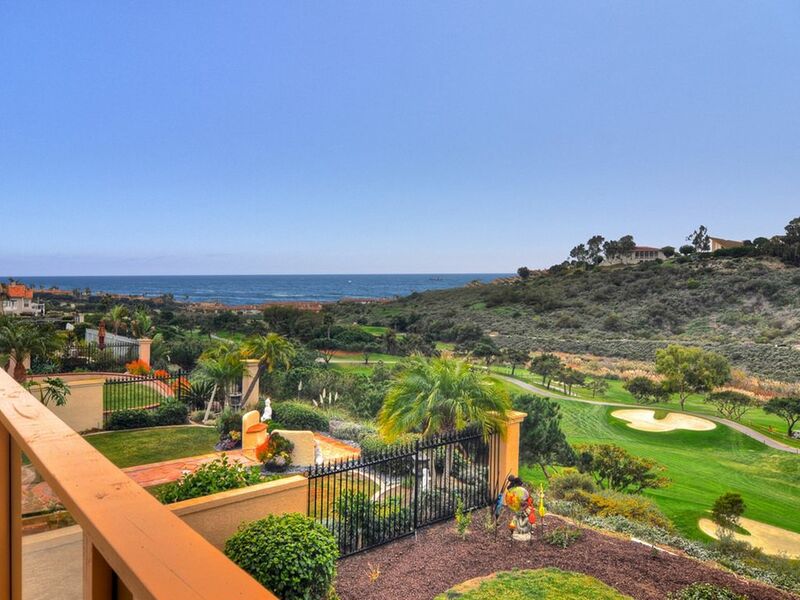 Dana Point offers near-perfect year round weather with easy access to all Los Angeles and San Diego attractions.This relaxing and professionally decorated Villa is perfect for 2-3 couples or a family looking for surf, sun, fun and plenty of sand! The Villa has panoramic golf course and ocean views. will realize you are only 5 minutes from some of the best dining, shopping, beaches, golf and tennis in Southern California. Rates Vary Based on Low to High Seasons and Holidays. Please call Mike to receive information on the varied rates and discounts available pertaining to your requested dates of stay. Great rental & great renter! It can be hard to find a great rental that is well kept and has everything promised. I can assure you that this rental is very clean / high amenities/ has all the accommodations you could imagine! Mike (rental owner) is of great assistance with anything we had questions about or needed during our stay and even checked up with us throughout our stay to make sure everything was going well for us! Perfect for families & couples alike. Very thankful that we found this property! Thanks again for everything mike! This property exceeded our expectations and we didn't want to leave! I highly recommend this property when visiting this area of Southern California. Floor plan layout is great. Property is exceptionally clean. you couldn't ask for a greater location. We had a wonderful experience here and will be back next year guaranteed. The home was incredible and was just as beautiful as the ad pictured. The owners were very easy to work with and very helpful with directions, provided us with places to visit during our stay. Rates Vary Based On Prime Season and Holidays. Please Call Owner For Specific Rates Based On Your Choice Of Weeks.